You might remember I listed some favourite word-based activities in one of my creative literacy series Book Chook Favourites - Word Play. 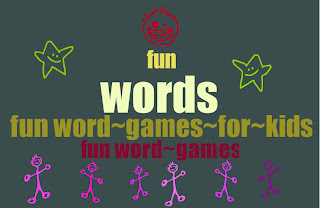 The following word games aren't creative the way word clouds are, but they involve kids in spelling and word making activities that will help their literacy skills. One of my favourite games as a child was to be given a long word like "television" or "combustible" and then see how many little words I could make by rearranging some or all of those letters. My Word - make words from letters given in a row of blocks. As you use blocks, those from the next row arrive. I liked the fact you can pause it. I also think it would be okay for kids from Grade 3 and up to play because there's a non-timed version (Casual) and words only need be three letters or more. Longer words equal higher score. Misspelled words = lose points. Another game my friends and I enjoyed was called Categories. Do you remember this? We'd draw a grid on a piece of paper. Then write some categories (plant, girl's name, grocery item) down one side of the grid and write alphabet letters across the top. Hasbro based a board game on this and called it Scattergories which you can play online. Phew, It's fast! This next collection has varying levels of difficulty. Although you'll find them online, these are not electronic games but text questions and clues, and you can try your own version with pencil and paper. Make-a-Word: Lots of word games are about rearranging letters to form words. If you have plastic letters, magnet letters, or letter blocks, you can play this as soon as your chid is old enough to spell. Or play it mentally with older kids, or again, with paper and pencil. Simply give your child some letters and challenge them to make words from those letters. Sheppard Software Word Scramble is an online version. Rearrange the letters with your mouse to form a valid word. Click the hint button to learn the meaning of a word. Timer. There's a similar game at Learn English Kids where kids get three minutes to spell words from a 16 letter grid. And Flip Words is another good one. You must choose adjacent letters to form words and solve familiar phrases. There are all sorts of bonuses and it's not timed, so that relieves the pressure for kids, who could even use a dictionary to help play the game. I also like that they can guess the phrase ahead of time to score bonus points. PBS WordWorld has several games, including Dog's Letter Pit where Dog jumps to collect the letters he needs to build CVC words. Starfall has a simple, clear interactive that introduces all the sounds. Pitara has a simple but very small game where kids need to match words and their pictures. Cool Math has some Flash word games. Starts With ? has kids working out beginning letters of words. The Alphabetizer has kids putting letters into alphabetical order. Children will need mouse skills for both, but they're simple enough for beginning readers. Find more Word Games in earlier posts. I'm attempting to curate various educational categories I'm interested in via ScoopIt and I have a Word Game page there you might like to bookmark. 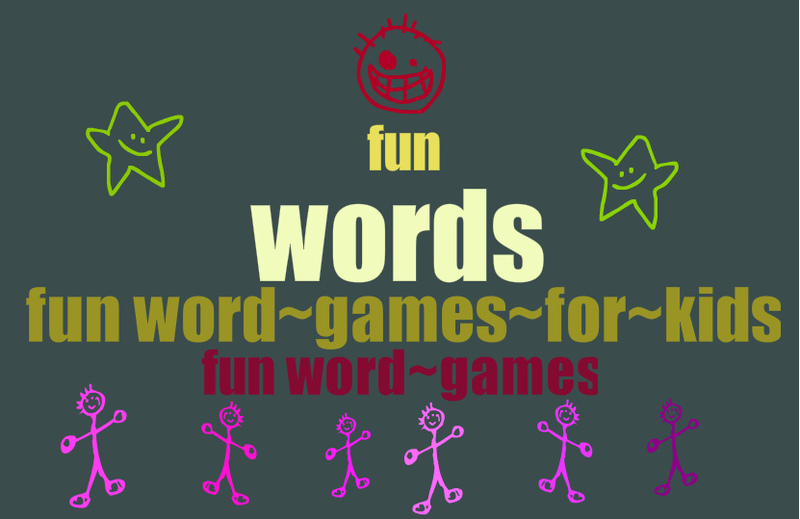 Please do mention any word games for kids you like in comments, if you are one of the lucky people comments will work for! Intense Debate Support are on it, and I'm still hoping for a positive outcome.